Hours to pay taxes are 8:00 am to 4:00 pm Monday through Friday. When do you mail out your Tax Notices? Answer: Our Tax Notices are mailed out as soon as possible after the Tax Roll is received from the Tax Assessor, which is usually around November 15th of each year. When are Property taxes delinquent? Answer: Property taxes are delinquent after December 31st of each year. What if I pay my Property tax late? Answer: If you pay your Property tax after December 31st, you will have to pay interest at the rate of one (1) percent per month or any portion thereof. That means if you pay one day or thirty days late you will have to pay 1 percent interest for that month. What if I do not pay my Property tax? Answer: If you do not pay your Property tax by March you should receive a Certified Notice, then around April 1st, and again around May 1st. Your property will be advertised in the Alexandria Daily Town Talk that your tax has not been paid, and will be offered for sale for the delinquent tax. This sale is usually held the second Wednesday in May. What if I have a mortgage on my property and my mortgage company is collecting money each month and putting it in an escrow account to pay my tax and they have not paid it by December 31st or later, should I pay then to protect my property? Answer: NO. Do not pay the tax. Contact your mortgage company and ask why they have not paid. We take the first money that comes to us. If you pay first and the mortgage company sends in your tax money later, we will have to send the mortgage company their money back. Then you will have to get your money back from the mortgage company and that can be very difficult. I purchased this property in May of this year, why did I not receive a tax notice in November? Answer: If you have purchased property after April 1st, the property will remain in the old owners name on the current year tax roll. We have no way of knowing this property was sold to someone else at this time. 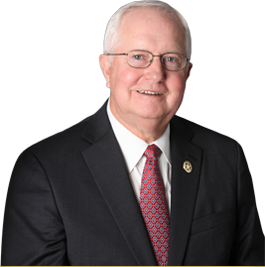 As the new owner, you will be responsible for checking with the Rapides Parish Sheriff’s Tax Department or the Tax Assessor to see if any taxes are owed on your property and you will also be responsible for paying the entire tax bill. How do I receive a homestead exemption on my property? Answer: A homestead exemption can only be granted if you own the property and live on it. This can only be granted by the Tax Assessor. This cannot be signed in the attorney’s office at time of closing, it must be signed in the Tax Assessor’s office. Who can buy property at a Tax Sale and when is the Tax Sale? Answer: Anyone except employees of the Rapides Parish Sheriff’s Office and the Tax Assessor’s Office can purchase at a tax sale. Our tax sale is usually the 2nd Wednesday in May. We will sell the least amount of property for the tax plus all cost. If more than one bidder wants the property we will ask for percentage bids. Whoever is to take the least percent of the property for the tax gets the property. It is a little more complicated than this. If you are interested in the entire process of purchasing property at a tax sale, please call and we will be glad to explain. 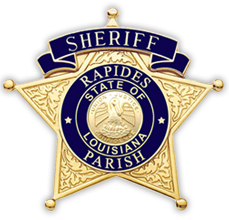 All other questions can be directed to the Rapides Parish Sheriff’s Tax Department and we will be happy to help you anyway we can.